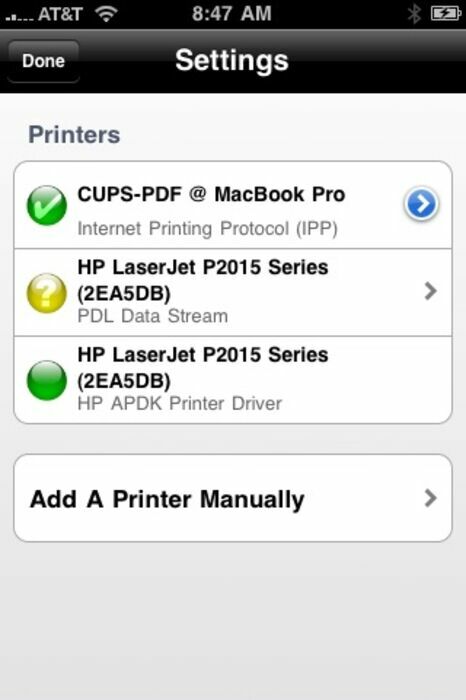 Wirelessly print to your wifi printers from the iPhone, iTouch, or iPad. This will work on most wifi printers. It can print to all wifi and wired printers with our free PC App. Please visit www.wellala.com and select PC App to download the app to your laptop. 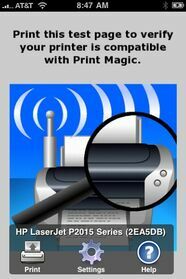 This app is for testing if your wifi printer is compatible with Print Magic or Print Magic HD wirelessly. Also, you can contact printmagic@wellala.com to set up printer sharing or PC app capabilities. 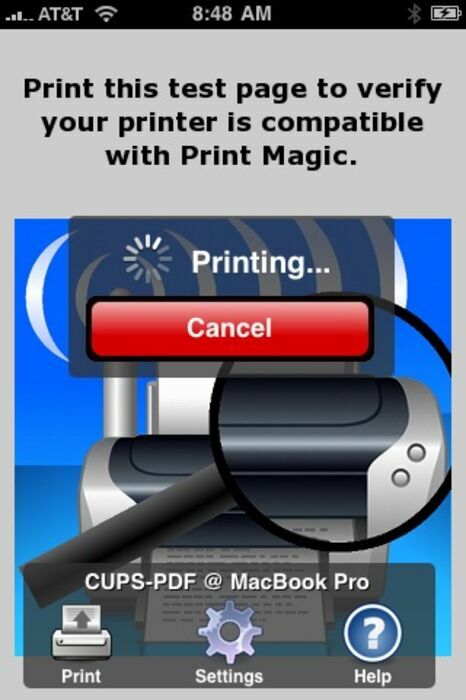 Print Magic is the leading printer app for the iPhone & iPad that does not require any software to be installed. 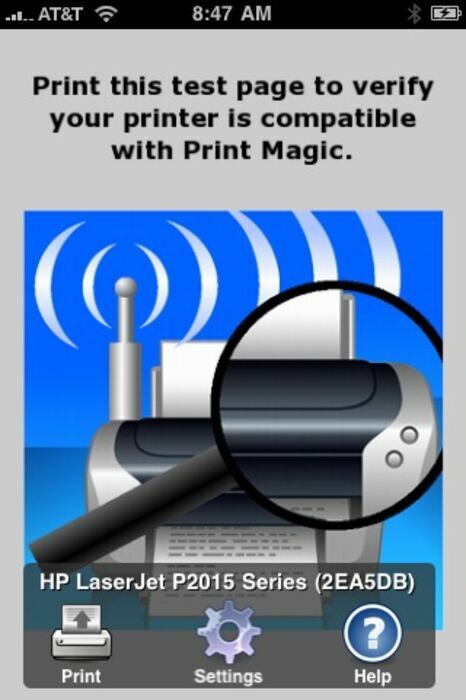 • allows you to run a simple test to determine if your printer is compatible with Print Magic. • This update will allow multiple protocol test printing options as well as manual IP printer input & HP test printing. If you can print a test page with this app, then your printer will work with Print Magic. See the Print Magic page in iTunes for information about our multiple apps. 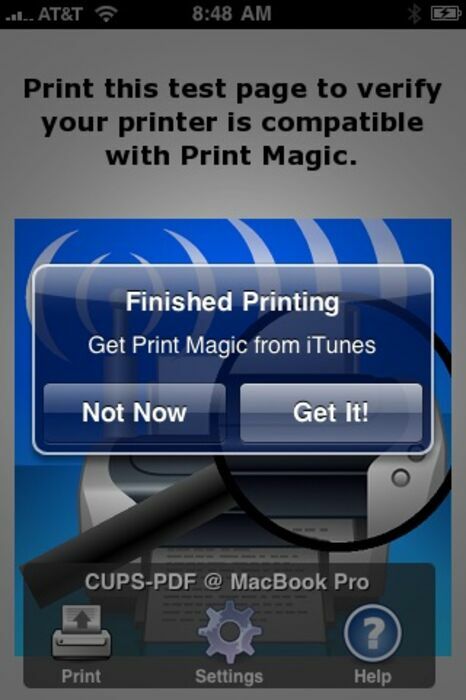 • add ability for other apps to launch Print Magic and have Print Magic launch them back.